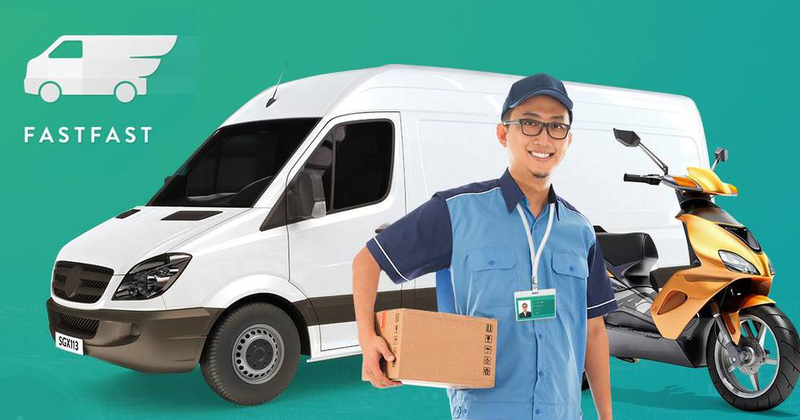 FastFast, an on-demand courier delivery service based in Singapore is raising $15,000 via a crowdfunding platform to fund Google’s annual map license fees. In case you are unfamiliar with FastFast, the app was launched back in June 2015, with an aim to connect you to local freelance delivery drivers. Targeted at corporates, retailers, and consumers, FastFast claims that their delivery drivers can help you deliver packages from one location to another in under 90 minutes. The app was founded by mobile development firm Codigo, and is backed by outspoken entrepreneur Elim Chew. To date, FastFast has a roster of over 3,000 freelance drivers on its platform. These freelance drivers have reportedly earned a total of $385,000 through FastFast. 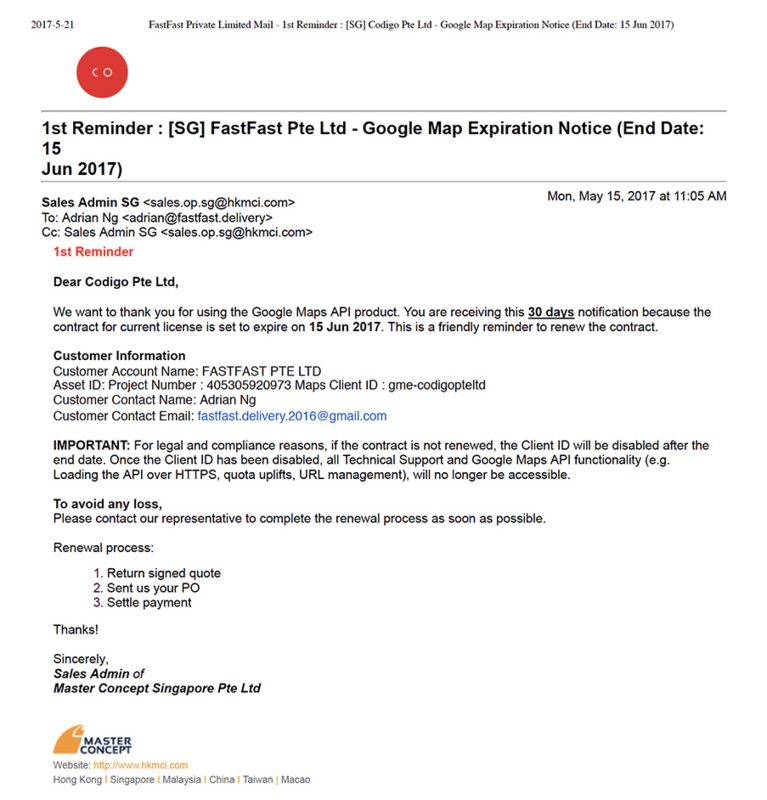 But to ensure that FastFast keeps powering the income of these freelance drivers, the company needs to pay Google $15,000 yearly for map license fees. According to their crowdfunding page, FastFast only earned $0.30 per delivery as an admin fee from June 2015 to March 2017. At 80 deliveries a day, FastFast has been running at a loss, and we estimate their average monthly revenue to be $720. To overcome that, in April 2017, the admin fee was been adjusted to be 10% of each delivery. Assuming the average price of each delivery is $20, FastFast will be able to increase their monthly revenue to $4,800. However, that is only enough to pay for 1 full-time staff, and some of the fixed costs associated with keeping FastFast afloat. All of which might be challenging, as FastFast faces competition – notably from heavily-backed companies like GoGoVan and Lalamove. There’s also NinjaVan, which, albeit being more B2B, has recently been receiving positive feedback from satisfied customers (or so we heard). Whatever the competition is, FastFast has provided $385,000 of income to 3,000 freelancers in Singapore over the past 2 years. That may soon be taken away should the company fail to raise the $15,000 needed to pay Google for its Maps API. If you’d like to extend a helping hand, you can head over to the crowdfunding page here. P.S. Did we also mention that Codigo, the company behind FastFast, is also the developer for Comfort Delgro’s beautiful mobile app? 77th Street Might Be Dead, But Elim Chew Finds Future In E-Commerce Logistics. And Food.